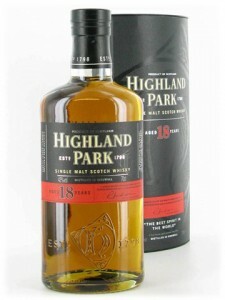 Highland Park 18yr – The best dram I’ve tasted in 2009! I’ve read so many reviews on the HP18 (Highland Park, not Harry Potter, come on people!!) I figured, enough is enough – I had to try just to see what all the hoop-a-lah was about. 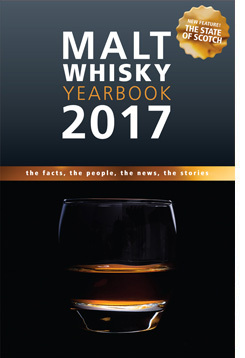 I realized the reason the whisky was so sub-stellar was just because of the type of glass they used (should have brought my own Glencairn) and the fact that I had food getting in the way of the tasting. Note to self: only taste when you’re either A) done with food or B) haven’t had food yet (though on an empty stomach… that can be…ummmm…fun?!). So, after many people telling me that I must be crazy for thinking the Highland Park 18 was no more than a big yawn, a little while later, I decided to shut them up and lay down the casheesh to buy a bottle. I actually got the bottle for much less than what is shown but, it was an eBay buy so I won’t post that price. Let’s just say, I got it for about the price of the standard 12yr bottle of Highland Park!! Palate — Absolutely one of the most succulent drops I’ve ever had! The smoke was underlying but kept peaking it’s head out and was balanced so well by the sweetness. Sherry notes but thankfully not overly so. The age came out a bit, long vanilla oak notes and more sweet smoke. G-d damn, I’m in heaven! Finish — Soft and silky, warming (which is much needed as it was 33deg F this morning! ), smokey and long. In sum — Those who know me now I am a devoted fan of the Glenmorangie line but I have to say, with the exception of the D’or (which remains to be my dram of choice), this has knocked all of the other Glenmos out of the way! Maybe it’s the weather, maybe it’s because I had it in the morning, I don’t know. I can tell you that I think I’m in love.